The Bayou Classic 62 Quart (15.5 Gallon) Stainless Steel Stock Pot also includes a stainless steel basket with handle and stainless steel lid. 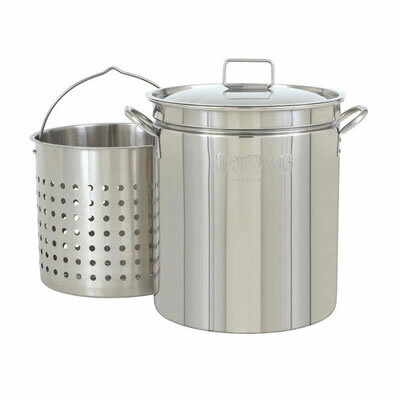 The Bayou Classic stainless steel stock pots are made of high gauge, restaurant quality stainless steel. The Bayou Classic Stainless Steel Stock Pots are ideal for boiling or frying seafood or chicken, or making large batches of soups and gumbos. Bayou Classic stock pots are a thicker gauge stainless steel than you typically find at this price! 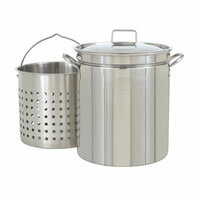 These stainless steel stock pots are amazing quality for the price!